Chris lives in U.S.A. He loves attending shows and chatting to boxing stars and sharing his opinion. He likes to write about UK and USA boxing news and you can read various news story’s ranging from interviews to opinion pieces. According to various sources online, former world champion and British superstar Amir Khan has received a $5,000,000 offer from Top Rank to fight pound-for-pound great Terence Crawford on March 23rd at Madison Square Garden. This news comes as a shocker for many reasons, as it appeared that another former world champion, Luis Collazo, was in line for the fight. If you are excited about the possibility of this match-up, you will like what draftkings offer with there draftkings promo code. You can draft your own boxing team and choose the biggest players in your line-up. Khan (33-4, 20 KO’s) has gone 2-0 this year following a return to the sport from his horrific knockout at the hands of Canelo Alvarez in May of 2016. In that match, Khan appeared to be doing well before being knocked out by a monster right hand from the Mexican superstar. What makes Khan vs. Crawford interesting is that it would likely be a pay per view matchup handled by ESPN, while the Crawford vs. Collazo fight would have been on regular ESPN. It definitely is a more appealing fight, as Khan is five years younger than Collazo and also dominated the Brooklyn fighter himself in 2014, racking up multiple knockdowns on his way to a clear unanimous decision victory on the Floyd Mayweather vs. Marcos Maidana undercard in Las Vegas. Crawford (34-0, 25 KO) has been looking for a high-profile opponent, having even recently come face to face with IBF welterweight champion Errol Spence Jr. In Oklahoma recently. Prior to their meeting, Crawford and Spence traded several words with one another on social media about a possible matchup. Spence is now lined up with a March 16 date on FOX pay per view vs. Lightweight champion Mikey Garcia. The problem for Crawford, who is exclusively linked with Top Rank and ESPN, was that many of his high-profile opponents are aligned with adviser Al Haymon, whose fighters will be fighting primarily on FOX and SHOWTIME in the coming years. Khan signed a three-fight deal with Matchroom promoter Eddie Hearn. His first fight in the deal saw him stop Phil Lo Greco in one round, while he later recovered from a knockdown to defeat Samuel Vargas a few months back. 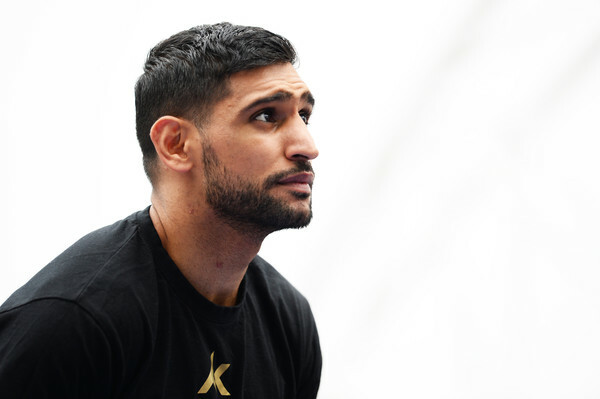 There was much talk of Khan facing off with his bitter rival and former champion Kell Brook in early 2019, but those plans have taken a back seat at least for the time being. Brook is schedule to face off with Michael Zerafa this weekend, and may have to go searching for other opponents afterwards. So how would Crawford vs. Khan play out in the ring? Most likely it would be a very highly entertaining fight if you look at the track record of both men. Khan is known for his fast flurries and often starting fast. Crawford, meanwhile, likes to take his time and slowly figure his opponents out. Just a few months back we saw Crawford stop previously undefeated Jose Benavidez Jr. In the 12th round after appearing to be down in the first four or five rounds of the fight. If Crawford does face off with Khan, expect fireworks, but maybe not right away. “Bud” would likely take his time and figure Khan out once the fight reached the fourth or fifth rounds.